There are various factors that define the seamless operation of a restaurant business. Similar to other industries and businesses, when it comes to restaurants, the most decisive among them is the experience and overall quality of the personnel. No matter how good the servings and the menu items are, if they are not backed by high-quality service and professional manner, a restaurant will surely suffer in its mission to attract long-term clients. In this article, we will focus on one of the more specific and not-so-widely known positions in a restaurant – the barbacks. A professional bartender is someone who can do his or her best work when he or she doesn’t feel like it. Most people, even those that are not within the industry, understand the roles of the personnel within the restaurant. The duties of waiters, bartenders, cooks, hostesses, etc. are pretty clear and most clients are informed about what they can expect from each and every one. An undeniable fact is that all of the positions listed above have significant responsibilities and act as critically important ingredients in the recipe for a successful restaurant. But there is that one position that is widely underrated and even visitors often remain unaware of it. Yet, a restaurant is highly dependable on it as it ensures the smooth running of the processes behind the bar and the seamless work of bartenders. Barbacks are the glue that helps bartenders execute their work in the best possible way. Without them, a client’s cocktail will surely not taste the same! Or in other words, barbacks are “the back office”, while the bartenders are more like “the front office”. Bartenders rely heavily on the way barbacks handle their work and truly appreciate their contribution. They fully realize the fact that they won’t be able to leave a client satisfied or get a bigger tip if their loyal assistants are not behind their backs. How hard is the barback job? Barbacks are required to execute their tasks quickly and efficiently. That means they should be forward thinking and be able to identify the short-term needs of the bartenders. They should observe the situation behind the bar and be ready to refill with fresh ice or other supplies, moments before the bartender asks them to. Just like a game of chess, barbacks should always be at least one step forward when compared to the bartender. That way, the whole working process behind the bar will run smoothly and the bartender’s efficiency will increase significantly. And such a boost in the productivity of the bartender will lead to more orders fulfilled and bigger tips respectively. A barback’s importance is realized only when he is missing. This is how valuable the position is. Apart from that more strategic thinking part, the barback position requires also some physical efforts as well. Bartender assistants are those who are responsible to replace the keg once it is empty. 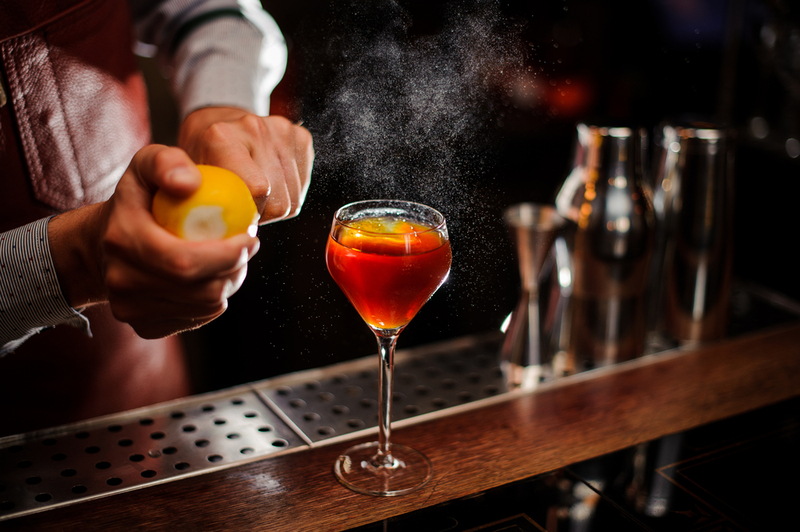 It can also be a little bit hectic due to the fact that bartenders often make additional requests in emergent situations, which may result into a more dynamic or even stressful working environment. Yet, at the end of the day, it is the barback that is the spine responsible for the quick order fulfilment and the quantity of the served drinks. Definitely one of the most important qualities. Successful bartender assistants do not wait for the last moment to change a beer keg or collect the empty bottles. They focused on prioritizing their tasks and handling them as quickly as possible. Otherwise, the barback risk leaving the bartender unable to handle his work and a client or two disappointed by the slow service. Successful barbacks do not wait for the bartender’s instructions. Instead, they focus on predicting some expected issues and take immediate care of them. The work is there to be fulfilled. The more forward-thinking the employee is, the less work he will have to do towards the end of his shift. After managing to finish all of his work, a successful assistant will ask the bartender if there is a way to help him with his tasks. Although there may not be something specific that they can help with, it will ease the pressure on the bartender and leave him being thankful for the personal assistance. That way, the barback will soon become the one person who all bartenders can rely on and feel comfortable working with. This is something that barbacks usually learn to do on the go. Being able to handle multiple tasks simultaneously is a very important part of one’s skill set as it cuts time and optimizes the processes behind the bar. So if the employee needs to ground some coffee, clean a spillage or replace the towels with new ones, he should try to handle the tasks simultaneously. With the course of time, he will be able to turn this set of tasks into a strictly-defined methodology. If the bartender asks his assistant to handle a task that is usually not his responsibility, the barback should not refuse. The more desire one shows and the more things he puts up with, the shorter his path to a promotion or a pay raise will be. Successful barbacks make sure to be there when their colleagues need them and their efforts are unlikely to be left unnoticed. The position does not require any previous experience except the skillset and the attitude described above. Yet, once a barback is hired, he will then be trained according to the restaurant’s inner methodologies and working codes. Most restaurant managers usually provide the recently hired bartender assistants with an employee manual that describes all the rules and procedures, specific to the culture of the given restaurant. Barbacks are also obliged to sign some papers, in order to acknowledge that they agree to abide by the business-specific codes and ethical standards. The training for this position is usually a common one and relies heavily on organizational methodologies and becoming familiar with basic process management rules behind the bar. The employee will understand more about the bar preparation and customer communication as he will receive a list with all items (ice, fruits, condiments, etc.) and activities (cleaning, restocking, etc.) that he will be responsible for. 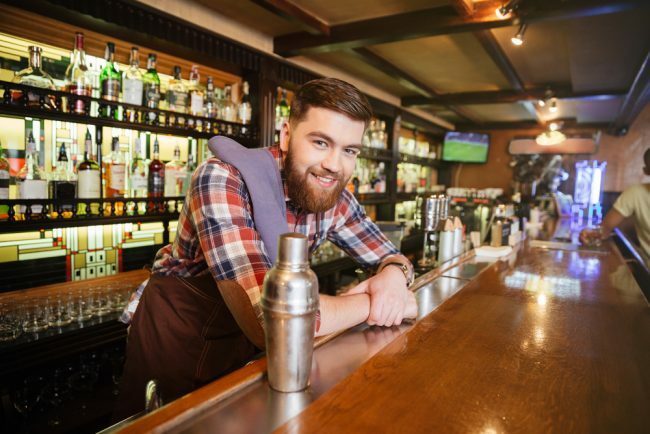 That way, the barback understands more about his common duties and can tailor his personal working plan, in order to fulfil them successfully each day. A very important part of a barback’s training is the process of getting familiar with all the items on the bar list and the way they are made. This is a very entertaining step, as well as a very complex one, as bartender assistants should understand as much as possible for the ingredients in each and every cocktail, as well as the right way to mix them. This is highly beneficial both for the bartender and for his helper. The bartender will have a more knowledgeable assistant, ready to help him at any point, while the barback will find out more about trendy cocktails and will cut-short his way to becoming a bartender in the near future. The position is a great one to start a professional career behind the bar. If one wants to become that next-level exotic bartender who makes eye-catching cocktails, having experience as a barback is highly recommended. The future bartender assistants should bear in mind that no one has become great in his profession by pure talent. 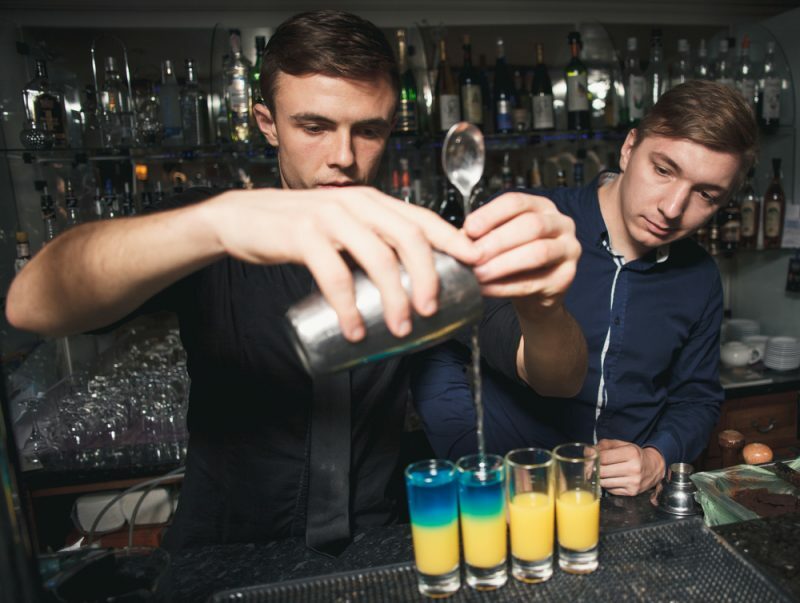 Although they may have the sense and skills to become great bartenders, before everything else, they should learn how each process behind the bar works. That way they will get a wider knowledge about the job and will become more flexible when doing it. Apart from paving the way to becoming a bartender, the barback position can fast-track one to other positions within the restaurants as well. If the bartender assistant shows that he has the will to work hard and deliver more than he is required to, in the end, he is often offered a different role, just because of their skills and desire. When it comes to remuneration, it is important to note the fact that barbacks usually get paid a fixed salary plus a part of the tips that bartenders receive. According to Glassdoor, barbacks make an average salary of $10.82 per hour ($20,780 per year), while the Bureau of Labor Statistics estimates figures of $10.63 per hour ($20,410 on an annual basis). Some Barbacks also get paid in the form of a small commission of the tips and sales. Being a barback may not be the most highly-rated or well-paying job in the world, but it is surely a great way to kick-start a career in the restaurant industry. People who work as bartender assistants usually spend at the position anywhere in the range of 6 – 18 months, depending on the pace at which they memorize things and increase their efficiency. After that, most barbacks become successful bartenders. And if this is not one’s career aspirations, it is surely a suitable strategy to earn some income and get an insider look at one of the most popular industries worldwide. And who doesn’t want to learn a thing or two for the proper communication with clients or the best ways to make a delicious cocktail for the weekend gathering with friends?